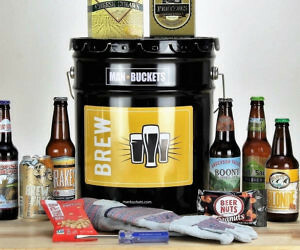 These man buckets are built to suit any type of man. Each bucket comes chock full of carefully curated items to match the buckets’s various themes like “Mr. Healthy”, “Man Snacks”, and “The Handyman” – so you can cater to your man’s likes and interests. Avoid making a mess next time you manscape your ruggedly handsome mug by using this facial hair clippings catcher bib. You simply tie this one size fits all bib around your neck and hang the other end to the mirror using the attached suction cups.